Home Blog Five myths about ISB Admissions busted! Five myths about ISB Admissions busted! ISB Admission process Myths Busted! 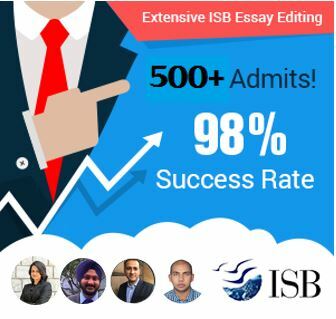 This is a post on general myths about ISB Admissions. In case you are looking for outstanding ISB application help or admissions consulting services, please check out our offering by clicking here or contact us using the contact form on the sidebar to the right. It is that time of the year when ISB Admissions are the talk of the town again among serious MBA applicants from India. As ISB has become more popular over the years, a number of myths around the admissions process at ISB have also surfaced. Over time, some of these have become almost unofficial ‘rules’ that one must follow to tread the path of an ISB admissions successfully. In this post, we bust five of these myths to help ISB applicants avoid making decisions based on hearsay and rumors. Myth 1:: Experience with an NGO/community work/social service will help my cause for an ISB admission greatly: Another very popular myth that somehow seems to affect a majority of candidates. The ‘reasoning’ behind this myth is that evidence of social work will impress upon ISB that you care for others and go beyond mean selfish motives. Some extreme versions of this myth also assert that an ISB admission is next to impossible without some evidence of social involvement in your application. At GyanOne, we say that you should look at social service as just another form of extra-curricular participation. If you have really been intensely involved in social work, then make sure you highlight that as an example of what you do outside work. If not, don’t feel compelled to join the neighborhood NGO just to show a token involvement. Planning to apply to the ISB PGP? GyanOne has helped more than 100 people get into ISB over the last year itself, and has an outstanding track record for ISB applications. Myth 2:: Asking for a scholarship will reduce the chances of admission: ISB awards merit-based scholarships based on the admissions applications itself. All successful applicants are considered for this award. Separately, ISB also offers the chance to apply for certain other scholarships through the online application, including need-based scholarships. The scholarship application and the admissions application are treated completely differently. Applying for a scholarship does NOT affect the chances of admission in any way. Myth 3:: A ‘minimum’ GMAT score of 680/700/720 is a ‘must’ for an ISB admission: There is no stipulated minimum GMAT score for an ISB admission. The range of scores is 570-800 (Class of 2012). A score of 570 translates to performance in the 53rd percentile of GMAT test takers. A score of 800 translates to performance in the 99.9th percentile of GMAT test takers. Both test-takers made it to ISB. That said, a score of below 680 is generally considered less than competitive at ISB, and a score of 720 or more is considered quite good. A lower score can be compensated for by other factors such as work achievements and extra-curricular achievements. Similarly, a high GMAT score is no guarantee of admission. 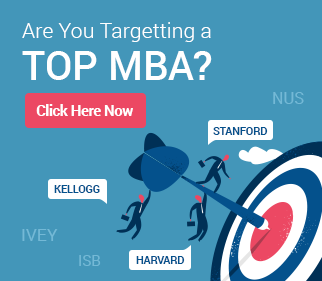 ISB uses GMAT scores as one of the evaluation criteria. It is not the only criterion. Myth 4:: Although ISB stipulates that applicants must have a minimum of two years of work experience, a successful applicants needs much more: If this was really true, why would ISB set the bar at two years? Makes no sense to set the bar at two years if they are anyway not planning to accept anyone with less than four, does it? A lot of applicants look at the average work experience figure for ISB students (~5 years) and assume that the extent of everyone’s experience will cluster around this number. This is simply not true. In fact, for the ISB Class of 2013, the group of students with less than 4 years of experience was the largest. Applicants can be just as competitive with two years of work experience (some with even less), and ISB now provides such candidates with an early entry option. We have even come across cases where applicants made it with less than two years of experience through the regular route (a few have been our clients). Similarly, candidates with more than the average of 5 years need not feel that they are too late in applying for the MBA. It is the quality of one’s experience that is more important than the quantity. Myth 5:: The Indian IT Male is an unwelcome commodity at ISB Admissions evaluations: We have written about this issue in detail earlier in a more general context in our series on the Indian IT Male, and will restate our central assertion from that series here again – yes, the pool that an Indian IT Male (or Female) applicant belongs to is very competitive, but that does not mean a good candidate from this category will not get through. ISB has stated multiple times that they welcome applications from this category of applicants. What better proof of this than the fact that candidates from the IT category comprise the largest pool of students at ISB, that more ISB students find jobs in the IT/ITeS industry than in any other industry, and that the Business Technology Club at ISB has the second highest number of members in the school itself (just in case you’re wondering, the General Management Club has the highest). GyanOne hopes that busting these myths will help applicants approach the ISB admissions process with greater focus on their career goals and achievements, which is really what counts the most in the process. Very good list of ISB Admission myths. I have got a lot of clarity about ISB Admissions after reading this.